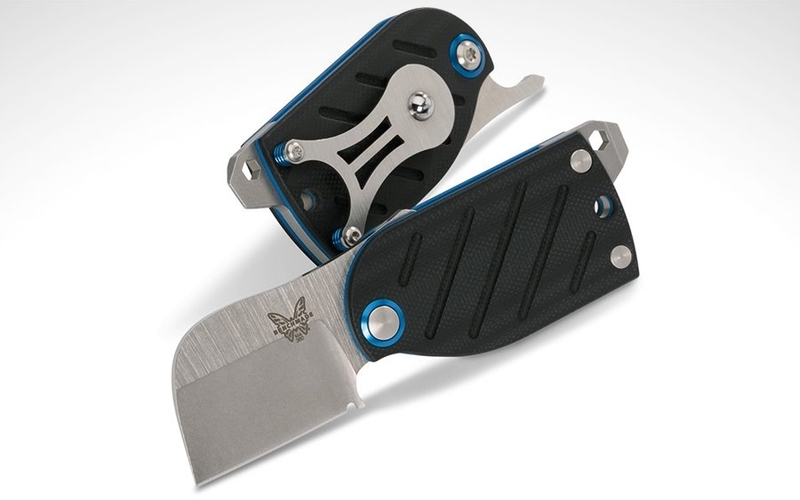 Compact and highly functional are two features that don't often go together, especially for a pocket tool. But if anyone can pull it off, it's Benchmade. Known best for their robust and popular knives, they designed their new 380 Aller friction folder knife with French knifemakers Patrick Famin and Eric Demongivert to be the ultimate travel companion. The 380 is a one stop shop for six essential functions, legal to carry almost everywhere, and sized in a unique form factor that's perfect for everyday carry. There are plenty to details in the 380 Aller that reflect the thoughtfulness put into its design, but its most upfront striking feature is its size. When closed, the knife is a mere 3.3”, smaller than just the blade of most production knives. But even while closed the 380 packs a feature punch thanks to a screwdriver/pry tool with built-in bit driver and a bottle opener built into the blade's tang, which also acts as its deployment mechanism. Applying pressure to this exposed tang swings out the 380's 1.6” CPM S30V wharncliffe blade, a premium steel with a good balance of toughness, wear, and corrosion resistance in a versatile shape ideal for precision cuts. The blade's compact length and non-locking design also lends itself adherence to knife laws the world over, supporting the knife's role as a travel essential. The 380's blade and tools extend from textured G-10 handles, offering a familiar and resilient grip, and a reversible pocket clip and lanyard hole round out its EDC carry options. Whether looking for your next jetsetting essential or looking to consolidate your everyday tools into a compact, tough platform, the Benchmade 380 Aller is built for everyday versatility. Add one to your pockets by picking it up from Amazon at the link below. Constructed with Arc'teryx's proprietary AC² nylon ripstop material and waterproof lamination to coat the bag, the Granville 16 Zip offers solid protection against everyday wear and tear. A compact and lightweight suspension system, coupled with a tri-laminate Monoframe back panel creates for a comfortable weight distribution across your spine. Taped seams and water-tight zippers will aid the over all waterproofing compared to traditional needle stitching, which leaves holes in material for water to seep through. Between the materials to the construction, the Granville 16 keeps your gear safe from the likes of rain or snow. The main 16L compartment features a padded sleeve wide enough to house a 15" laptop. On the exterior of the sleeve, an integrated mesh zippered pocket helps keep chargers and cables organized. Up top you'll find a small external pocket with a key clip inside, perfect for carrying smaller items like a wallet, key-chain, or your phone. Swinging to the front, you'll find a pocket with a side zipper, allowing easy access while on the go. A removable sternum strap provides extra support when carrying a heavier load or during more rigorous travel. Whether you're facing a literal storm or the whirlwind of short-haul travel, you won't have to worry about the weather with the Granville 16 Zip. 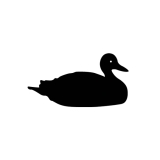 It's available in one of three colors (black, bushwhack green, pilot gray), at the link below. When it comes to efficiently hauling your gear on a daily basis, nothing gets the job done quite like a quality backpack. Great packs come with storage, organization, and resilience, while also the easiest and most ergonomic form factor to carry heavier loads. So it's no surprise that plenty of of manufacturers make the effort to make not only everyday packs, but also travel-worthy bags that bump up the specs and space, making them worthy of seeing the world with you. Whether it's an overnight business trip, weekend getaway, or jetsetting your way around the globe on an exciting adventure, a quality travel backpack is the ultimate EDC companion. Below are 12 of our picks for the best travel backpacks you can pick up and head straight to the airport with right now. It's easy to organize your essentials in a daypack, or have the perfect pouch system when you're on your regular commute, working the daily grind, or frequenting your favorite haunts. But stepping off your usual path can catch you off guard in unexpected ways. This is where Aer's new Go collection comes into play. As the name suggests, these bags help you plan (and pack) when you're trapped between needing to carry just a little bit more than expected and not being able to spare the space for an extra bag or three. All in a package that's a cut above the packable bags you're used to and presented in the sleek and efficient design language Aer's products are known for. When you think of packable bags, the image that comes to mind is usually an unstructured mess of lightweight material, loose straps, and flimsy zippers, all in pursuit of being as convenient as possible to stow away in the rest of your bags or luggage. But with the goal of using the best possible materials while maintaining functionality, the Go collection recalls features of Aer's other lines while optimally performing as foldable and portable bags. Each of the bag use 300D Cordura ripstop rather than Aer's usual 1000D or 1680D ballistic nylon, shaving much of the weight while still maintaining excellent resilience and water resistance. Compartments are locked down with YKK zippers, which now feature easy-grip Hypalon zipper pulls, while Duraflex hardware takes care of clasps and buckles. New to Aer is the collection's use of a Fidlock magnetic fastener for each of the bags' quick-access external pockets, providing both convenience and security in one satisfying click. Whether preparing for unexpected trips to the store or making sure you can take home your travel haul, Aer's Go collection is small in stature but big in features and convenience. 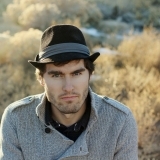 Check out the line at Aer's site at the link below. Between the daily grind of school or work and all the responsibilities we have to tackle every day, we could all use a break from time to time. And nothing does the trick like a little bit of travel, even for just a weekend. You get to get away from the usual sights and sounds, go on a little adventure, or just find yourself in a new locale to see, eat, or shop for new things. But as EDCers, even for something as simple as a weekend trip is worth preparing for, and that means carrying smart with the right gear. For your next weekend excursion, consider the weekender bag to haul your essentials. It's the right size for travel (and most will qualify as carry-on luggage), and structured to fit all your travel gear so you don't have to overstuff your EDC daypack or carry a much bulkier check-in suitcase. If you need a good weekender for short haul travel, quick trips, or spring break vacations, look no further. 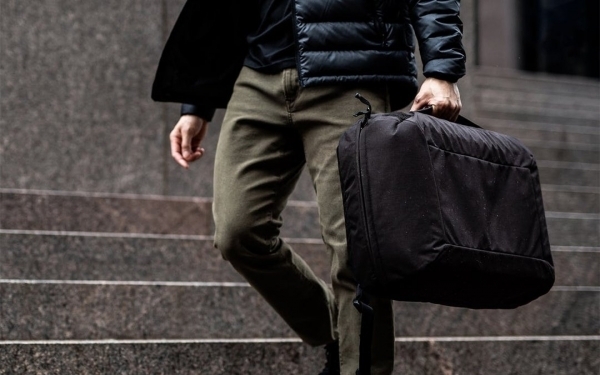 Below are our picks for the 12 of the best weekender bags, duffel bags and carryalls with everyday carry crossover available right now. Carrying the gear in your pockets can be hard enough. Traveling with gear? That's a whole different ball game. If you've ever taken a trip for outdoors sports like climbing, skiing, or camping, you'd know the struggle of packing your usual travel essentials and your equipment. 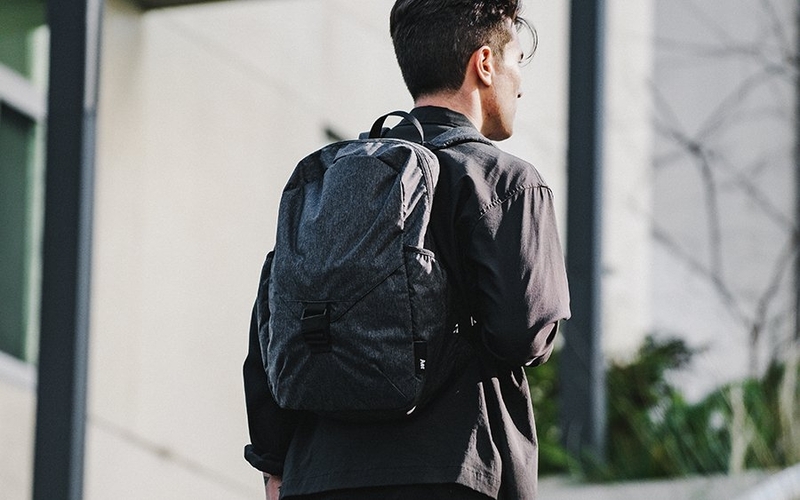 As both urban adventurers and avid outdoorsmen, the team at Evergoods set out to solve the travel packing, gear hauling conundrum with their line of high performance "city to mountain" packs. The CTB40 is their take on a crossover travel pack, infused with design DNA from tactical bags, softshell luggages, and mountaineering packs to handle your loadout for whatever and wherever your adventures take you. Inside and out, the CTB40 isn't like the usual travel backpack you've come to expect. Its sleek, discreet exterior is made of 500D nylon for lightweight durability, then finished with a durable water repellant for weather resistance that's especially handy when hauling your gear outdoors. The slim, rectangular silhouette of the CTB40 makes it easy to transport whether you're stowing it in an overhead bin, carrying it on your back with its contoured, padded shoulder straps, or just carrying it by hand thanks to its extra-long grab handles on three sides of the pack. With a 40L maximum capacity it's also roomy enough to use for awkwardly sized outdoors equipment or simple "onebag" travel. The CTB40 unzips clamshell style with a thoughtful mix of zippered internal organization and a spacious main compartment for easy, at-a-glance packing. The main compartment features ample padding and flexible, foldable "wings" along the perimeter to protect and contain your gear. Multiple compression straps keep things tight and secure when you're packing heavy, or keep the bag low-profile for when you're traveling light. The top section of the pack serves as an integrated travel organizer with plenty of zippered pockets and mesh paneling to separate and identify your gear without needing to rummage through your bag. A high-contrast, PU-coated 420D nylon lines the interior to keep things light, easily visible, and clean. Last but not least, you can stow your laptop in the CTB40's dedicated laptop compartment that's fully padded and suspended, making for a protected and comfortable carry. Before your next big trip, consider consolidating your EDC pack, luggage, and gear duffel to lighten the load and lessen the headache of traveling. The CTB40 is up for the challenge, and it's available in black or grey from Huckberry at the link below. Let's face it: a lot of business briefcases just won't cut it for an EDCer. 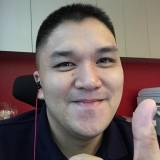 They're generally plain, have a single function (to keep papers and folders in a rectangular enclosure), and are made from a simple combination of leather, plastic, and metal. That's not good enough for the folks at BOND, who make highly functional, versatile, and EDC-focused soft goods. So when it comes to the humble briefcase, their Attache 13 is anything but. 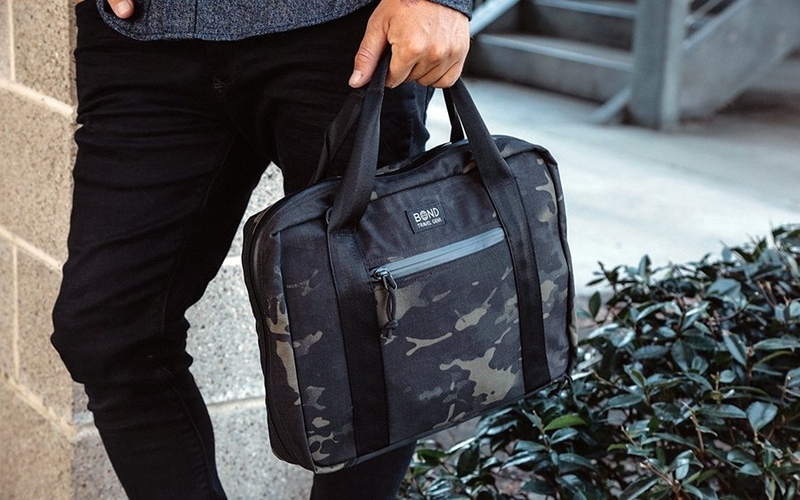 With design cues and materials from tactical packs and a function-led approach to organization, it's a bag that ensures an awesome day in, and out of, the office for your EDC. At its heart the Attache 13 is a slim briefcase that fits and protects a 13” laptop and similarly sized tech. But even starting with its exterior, BOND set out to create something exceptional. Rugged nylon, weatherproof YKK zippers, and Hypalon are materials more commonly associated with tactical bags, but they're used in the Attache 13 to protect your gear. The full clamshell-opening style also takes its cues from travel bags, allowing the Attache 13 to lay flat when open so you can best survey and organize its contents. No more having to fish in the depths of a bag that only opens halfway. A quick-access front pocket, nylon webbing handles and strap, and metal hardware round out its external features. Speaking of organizing its contents, there's even more design choices inspired by the Attache 13's tactical peers. Opposite the laptop/tech sleeve compartment are no-slip, quick-access loops front and center so you can easily grab lone essentials like pens or cables. These pair with mesh pockets to both keep things from falling out as well as giving you an at-a-glance visual of your gear. Behind these are larger mesh zip pockets for larger items like notebooks or power cables, as well as extra loops for loose essentials like your keys. The BOND Attache 13 may be overbuilt and overkill for the office, but that's exactly the kind of rugged gear that EDCers appreciate. You can pick one up in black and tan or a black multicam colorway at a huge discount from Amazon at the link below. When you're constantly on the move, the last thing you want is a bag that slows you down. 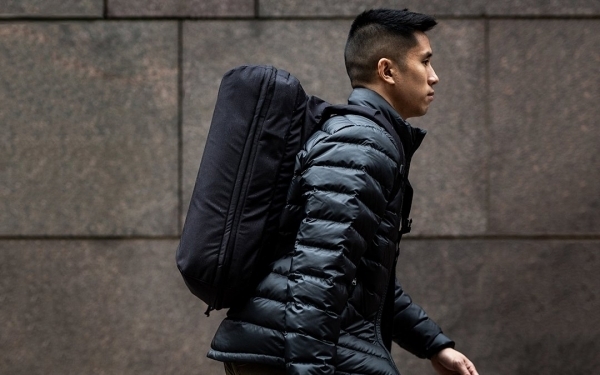 Whether it's because the bag is too big and bulky for crowded city sidewalks, or it just isn't designed for the active EDCer, lugging your gear around can be a serious drag. 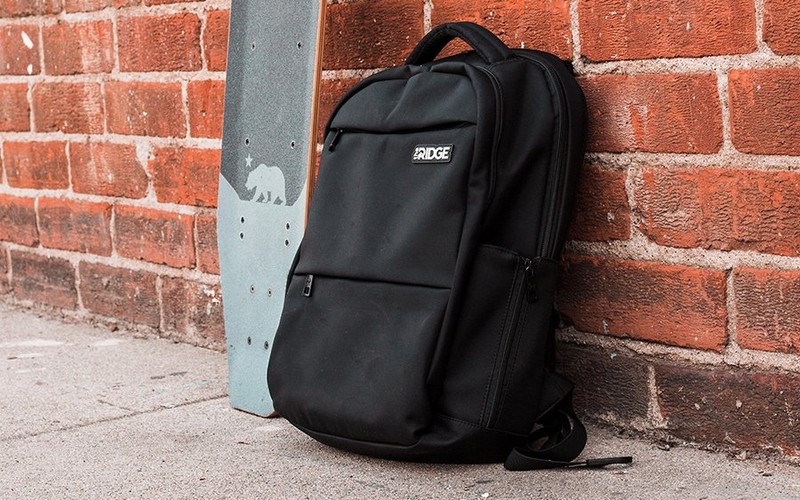 But Ridge's Commuter Backpack was designed for your busy lifestyle in mind, giving you enough space to operate without being too big, and smart, thoughtful features that work with the tech you carry to make for a seamless experience. And because the Commuter is brought to you by the designers who put together the popular Ridge Wallet, it shares a similar minimalist aesthetic that looks great without drawing too much undue attention when you're in public. 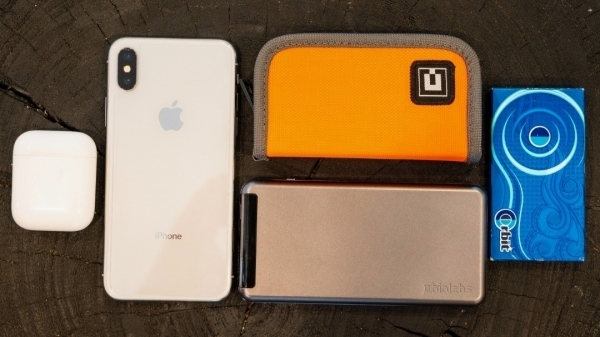 Combined with Ridge's power bank and phone case wallet, your daily tech is covered. This is a sponsored post presented by Ridge. November 11th is Veterans Day in the United States. It's a day where we give thanks to the men and women in uniform that have served our country. 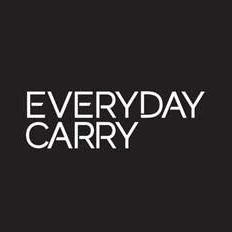 There are plenty of vet-owned businesses out there, but the ones that specialize in gear are especially relevant to us over at Everyday Carry. These professionals have spent years in the field, and few people out there know what makes a great piece of gear as much as they do. As a way to show our appreciation, we've rounded up some of our favorite Veteran-made goods. Read on to check out some of our favorite picks! If you depend on your EDC bag to keep you prepared day to day, you can probably imagine how crucial a good backpack can be for long-haul travelers and “onebaggers,” who practically live out of their luggage. 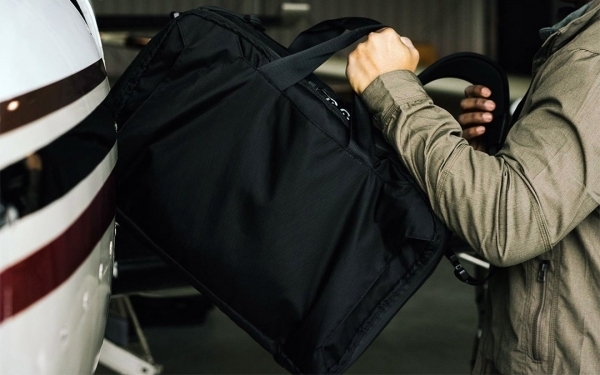 While there's no shortage of “one bag” style packs out there, the bag experts at Carryology had their sights on building the perfect pack for the job. They brought their experience and expertise from reviewing countless of travel bags and teamed up with the Scottish adventure gear brand Trakke to release an ultra-limited travel pack collaboration. 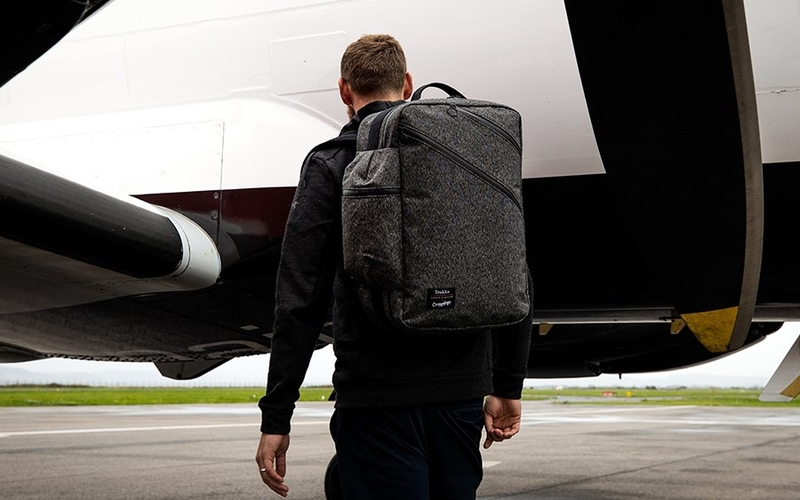 When it comes to travel bags, the Storr SP 35L is quite literally cut from a different cloth: the traditional coated canvas exterior is a nod to the past and Trakke's roots, while the cutting-edge Dyneema interior offers a glimpse into the future of bags in line with Carryology's vision. Together, they result in a timeless pack that's built to last a lifetime of adventure. As a special collaboration between an adventure gear brand and a team of bag enthusiasts, it's only fitting for the Storr 35L to be a travel pack worthy of being your “one bag.” It's neither a backpack nor a piece of luggage, but instead, something much more versatile that can flex between those roles. Its main compartment opens clamshell style for easy loading and endless configuration, revealing its ultralight Dyneema interior. Woven with the world's strongest fiber, Dyneema offers an incredible strength to weight ratio and excellent weather resistance. The orange Dyneema used here is especially helpful for providing high-visibility contrast, while its slight translucence lets you see your gear even in the zippered compartments while still keeping them safe from moisture. The three thoughtfully placed zippered compartments give just enough internal organization without getting in the way of your preferred packing methods. It's all wrapped up in a salt-and-pepper canvas exterior that's coated with both traditional wax and synthetic water repellants, giving the bag a classic look without compromising weather resistance. It's the little things that can be gamechanging when it comes to traveling with one bag, and the Storr SP 35L nails plenty of them. Three grab handles make it easy to pick up, carry, and load the bag in and out of bins, trunks, and overhead compartments. The backpack straps detach and stow away into the back panel, which also features a hidden zippered compartment. A large exterior zippered pouch can store a water bottle or other similarly shaped gear you'd want at a moment's notice, while two diagonal zippered pockets on the front of the pack offers quick access storage. YKK Aquaguard zippers used throughout the bag heighten its weather resistance to match the rest of the materials used. Only 100 pieces of the Storr SP 35L were produced for this collaboration, along with optional, matching accessories like a keychain and Dyneema packing cubes. If you're looking for a capable travel companion, this might be that “one bag.” Check it out at Trakke's online shop at the link below. Of all the packing essentials in a traveler's kit, it's the dopp kit that's often the hardest to organize. After all, unlike tools with uniform sizes like flashlights or rectangular tech objects, your grooming or first aid supplies come in all shapes and sizes. So finding the right dopp kit that's versatile enough to take on the most unconventional gear is key for making the most of your travel EDC. And usually, if your dopp kit is organized enough to stash toiletries and grooming gear, it can double as an EDC pouch for when you're not on the road. In this guide, we're rounding up dopp kits and toiletry bags to help you tackle the task of packing for your next adventure. 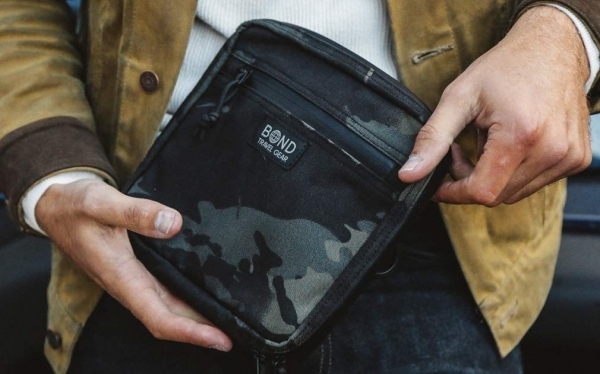 Below are 10 of our picks for the best dopp kits to EDC this year. As EDCers, you probably carry a lot of gear when going about your busy day. Whether it's the daily grind or hopping on a plane to get away from it all, keeping your essentials organized is a top priority. And when it comes to doing it right, few companies do it as well as Aer. 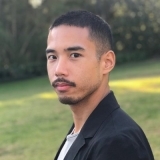 Whether making it easy to keep up an active lifestyle or sleekly streamlining the way you work, they have years of experience behind their bags. With this year's new Travel Collection they take a fresh look at their popular jetsetter line, making it easier than ever to stay prepared on your next commute or adventure. Aer's new Travel Collection takes the 5 bags from the original line and gives them some fresh new upgrades. For the two larger bags, the Travel Pack 2 and Flight Pack 2, comfort and security features were added to make them even more (literally) painless to travel with. For the Travel Pack 2, a new removable hip belt, redesigned shoulder straps, and new lockable zippers get paired with a luggage pass-through and a new quick access laptop pocket to make it a strong option for one-bag travel. With its 3 ways to carry, The Flight Pack 2 gets a new front organization pocket, side bottle pocket, and the same new pass-through and secure zippers as the Travel Pack. It's a versatile work bag that can handle all your work essentials, no matter how light or heavy they get. The Travel Sling and Day Sling 2 round out the collection with smaller offerings for a regular EDC or daypack when fewer essentials are needed for your activities. The larger Travel Sling gives you a sleek, rectangular space that's perfect for carrying a laptop or large tablet. A 2-way sling strap lets you strap the bag flush against your back or as a messenger for quick access to its top pocket and main compartment, the latter of which comes with roomy interior organization. The updated Day Sling 2 is perfect for EDC when your pockets just aren't enough, with a redesigned ergonomic strap and a sleeker profile that still fits up to a 7.9” tablet within its inner pockets. 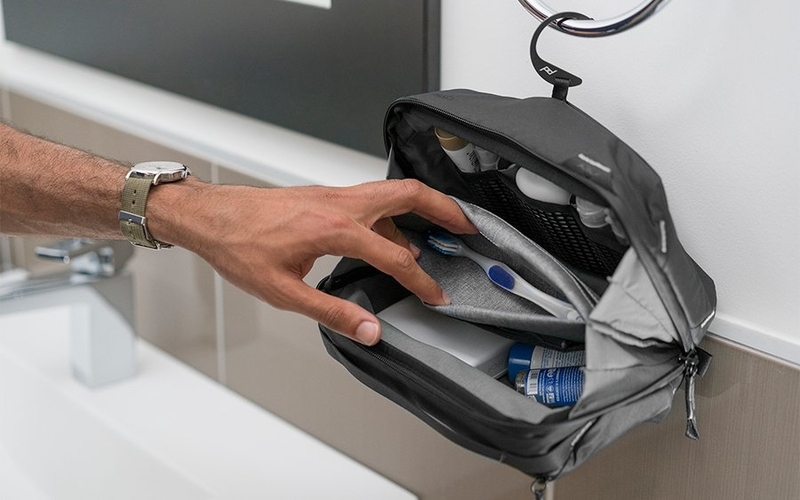 And last but not least, the Travel Kit is Aer's take on the classic dopp kit, fitted with a stowaway YKK hook that gives you a hanging option to keep your bathroom essentials within reach (and away from wet surfaces). Two interior zippered compartments let you separate your product, while an exterior toothbrush holder makes it easy to dry yours off when wrapping up your routine. 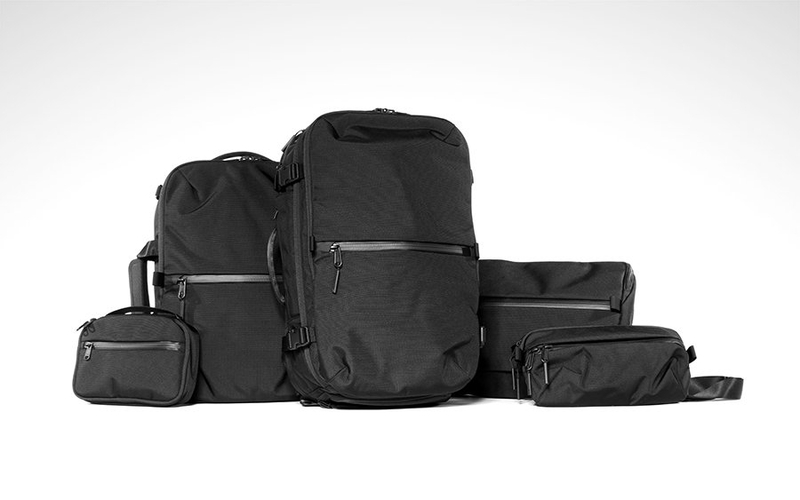 And like all of their bags, the Travel Kit comes decked out with Aer's signature design combination of black weather-resistant 1680D Cordura ballistic nylon (with other color options in a heather gray 900D polyester and a 1050D black camo nylon), AquaGuard YKK zippers, and water-resistant interior lining. Whether running daily errands or packing for your dream vacation, Aer's new Travel Collection gives you the functionality you need in a sleek style that's all their own. The collection just launched today on Aer's site, which you can check out at the link below. Travel is one of the most exciting ways to put your gear to use, but let's face it, parts of it can be… inconvenient, to say the least. Case in point: packing. There's a fine line between over- and under-packing for a trip: too much leads to the hassle of checking baggage, and leaving things behind can present its own set of struggles. 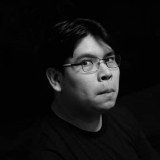 As frequent flyers themselves, the team at Peak Design know this problem all too well. 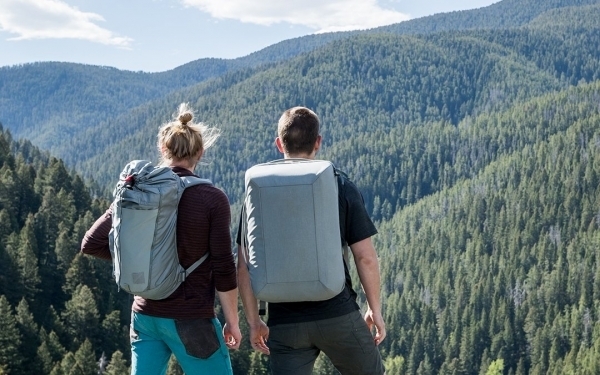 With their experience developing and crowdfunding state-of-the-art, incredibly functional packs, they're set to solve the travel packing problem with their new Travel Line—a one-bag travel system that combines form and function in one feature-rich package. The foundation of the new Travel Line system is the 45L Travel Backpack. Taking functional cues from their experience with their popular EDC backpack and slings maximized in an ideal carry-on size, each side and panel of the Travel Backpack is lined with features. Its core is a clamshell-opening 45L main compartment with generous space to fit the rest of the Travel Line system, accessible from either side and top access to the laptop/tablet slot. 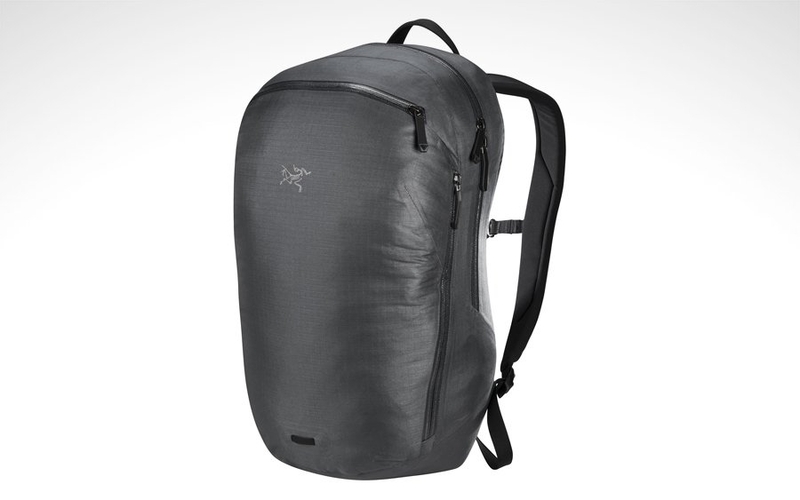 Expansion zips let you make full use of its 45L capacity as a carry-on pack, while compression straps let you compact the bag to a daypack-friendly 35L. You also get a full suite of thoughtful details like a front admin panel, grab handles from every angle, theft-deterrent zippers, hidden pockets galore, and even stowable shoulder and waist straps. Keeping it all together is the Travel Pack's exterior shell made from field-proven and weatherproofed 400D nylon made from 100% recycled plastics. Along with the Travel Backpack, the Travel Line also brings a complete line of packing cubes and pouches of every size and purpose, all designed to look and work seamlessly on their own, with each other, and with the backpack itself. From a dopp kit to a tech pouch to compressible packing cubes and camera cubes featuring Peak Design's signature FlexFold dividers (giving you a completely customizable modular system for your camera gear), you're able to assign a function to every pouch, organizing all your essentials for quick swapping depending on your activity and to ensure nothing gets left behind. We EDC our gear to keep us prepared for whenever and wherever adventure strikes. And for some of us, the endgame is finding that one bag to carry it all no matter what and where that might be. 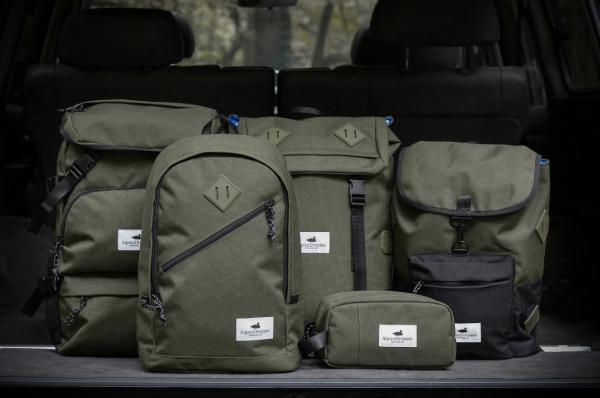 EVERGOODS is dedicated to making that one bag a reality with their line of crossover equipment. 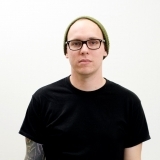 At the helm is GORUCK's co-founder and former head of product who has split experience between New York City and Bozeman, MT for a one-of-a-kind insight into “city to mountain” gear. 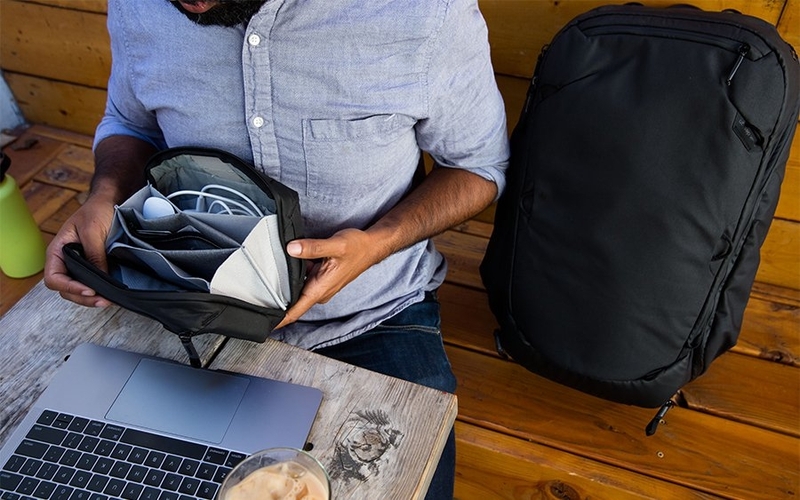 They've just launched two new packs: the MQD24, a 24L daypack designed with quick access in mind, and the CTB40, a 40L hybrid backpack that blurs the line between carry-on luggage and gear hauler. Inspired by traditional top-loading mountaineering packs, the MQD24 (Mountain Quick Draw 24L) has a few tricks up its sleeve to keep in line with the Crossover Equipment theme. Its namesake Quick Draw mechanism works like a drawstring cinch, conveniently and intuitively opening and closing the main compartment of the pack in one smooth motion. The clever, forward-leaning design towards the front of the pack helps keep water out without the hassle of unbuckling or unrolling like on other top-loading packs. The second main feature that makes the MQD24 ideal for on-the-go EDC is its side zipper. It grants quick access to the center and bottom of the bag without taking it off your back by drawing it under your arm. Between the Quick Draw toploader and side-entry zipper, getting to your gear is a snap. For those trips when you're carrying more than your daily essentials, there's the CTB40 (Civic Transit Bag 40L). It's something between a padded, softshell carry-on luggage and a backpack designed with a focus on both efficient packing and comfortable carry. Its “flex fold compression” system starts with a large, unobstructed clamshell-opening main compartment for easy packing. Semi-rigid “wings” protect and contain the contents, while two compression straps lock everything down. The top lid of the pack serves as a built-in travel organizer, with multiple mesh and zippered compartments for the rest of your essentials. Once closed, you can comfortably carry the pack using its backpack straps, or carry it briefcase-style from its beefy side and top handles. Thanks to its versatile design and rugged materials, it can pull double duty as a travel pack or as a sports equipment and gear hauler when going from urban to outdoor environments. Both packs are made from durable, high denier nylon and jam packed with tons of thoughtful features. Head over to the Kickstarter project page for in-depth breakdowns of each bag at the link below and secure one for yourself before the campaign ends on August 13th.